Last of the Mohicans Analysis term papers discuss the historical novel, by James Fenimore Cooper, that provides a glimpse into the battles fought along the American frontier during the French and Indian War. James Fenimore Cooper’s 1826 historical novel The Last of the Mohicans: A Narrative of 1757 providers a glimpse into the battles fought along the American frontier during the French and Indian War (Seven Years' War). French forces allied with a number of Native American tribes fought British forces and colonial settlers over a period of seven years. The outcome of the conflict, of which North America was only one theatre of battle, saw dramatic and lasting shifts in world power. Aside from the historical and political issues reflected in the novel, it also provides insight into early views regarding race. The main character Hawkeye, also known as Natty Bumppo and in French as “La Longue Carabine” (the long rifle), is a white man who has largely adopted Native American culture. He is a sort of white-Indian hybrid in his own eyes, and counts the Mohican tribe as being almost family; his two closest friends are Mohicans. Interestingly, his apparent social multiculturalism does not preclude an obsessive emphasis on his own white heritage. Nor does it extend to the realm of romantic relationships; Hawkeye is virulently opposed to interracial coupling. This was the dominant attitude at the time, of course, and Hawkeye is in fact unusual in his social openness to Native Americans. This contradictory attitude about race involving the apparent commitment to equality confounded by intolerance in specific domains mirrored racial attitudes of much later times. A The Last of the Mohicans analysis is revealing of the historical underpinnings of these complex attitudes. 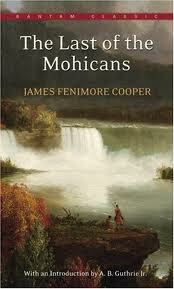 Paper Masters writes custom research papers on Last of the Mohicans Analysis and discuss the historical novel, by James Fenimore Cooper, that provides a glimpse into the battles fought along the American frontier during the French and Indian War.